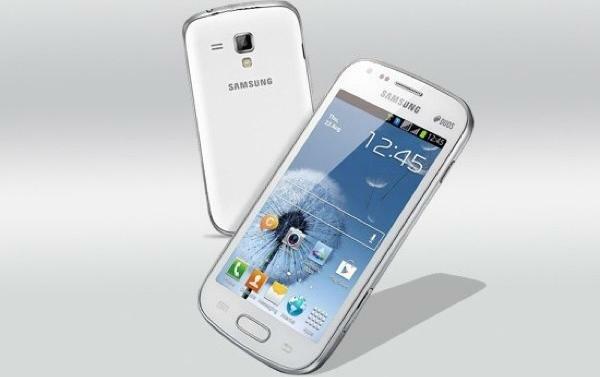 Samsung are busy expanding their range of smartphones on offer away from its flagship devices such as the Galaxy S3 and Galaxy Note 2, and on the Android platform there is a variety of handsets covering most needs and finances. Dual SIM mobile phones have always been popular in emerging markets, but more recently we have been seeing a number of smartphones offering this feature, and now we can tell you about the Samsung Galaxy Grand Duos that is available on Infibeam for Rs.21,500. The Samsung Galaxy Grand is coming in two versions that also include a single SIM option, and the dual SIM version was recently priced and dated for a European release. Now though for our Indian readers we have news of the handset on Infibeam with free shipping across the country within two to three business days. It is in stock now for order and for your money you get a handset that looks similar in design to the Samsung Galaxy S3, but with a 5-inch WVGA TFT touchscreen display that is powered by a dual core processor clocked at 1.2GHz. Storage wise it only comes with 8GB but this can be expanded by a further 64GB via microSD card. There is an eight megapixel rear facing camera coupled with a LED flash and auto focus, while around the front is a two megapixel shooter for video calls and self portraits. The rear camera is capable of Full HD 1080p video capture, but it’s the dual SIM functionality that will appeal to a lot of users. It will allow owners to have two separate numbers and contracts in one handset, and also includes a built FM radio and a 2,100 mAh Li-ion Standard Battery. The handset comes running the Android 4.1.2 Jelly Bean operating system straight from the box, and to find out more or to purchase one yourself click here. Will you be getting the Samsung Galaxy Grand Duos?